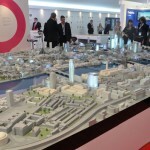 The presentation at MIPIM 2013 of the major projects of the metropole of Bordeaux shows the dynamism at work in the territory. 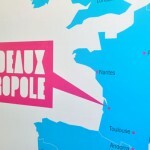 Dynamism that is of course not the mere fact of Bordeaux Métropole: if it is a partner, or pilot in many of these projects, many of which are driven and/or funded by others. 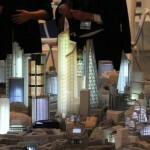 This profusion of projects and partners shows the confidence of all in the potential of the territory. Mr. Alain Juppé, Mayor of Bordeaux, President of the Bordeaux Euratlantique EPA, presented the project in the presence of Mr. Bernard Reichen, urban architect from Reichen and Robert Associates. 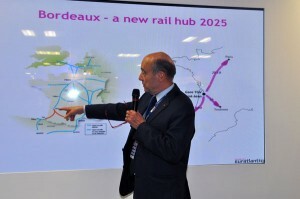 The new LGV line will put Bordeaux at 2 hours from Paris and strengthen economic exchanges with the Paris region, but also enhance the dynamic neighboring territories (Angoulême, Poitiers…) The “TGV effect” will help position the city of Bordeaux up to the rank of major European cities. The extension of the Gare Saint Jean will accommodate 18 million passengers in 2017 (11 million today). 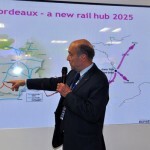 Two high-speed rail connections will make Bordeaux a European crossroads: opening towards the southwest with projects that will respond to the mobility needs of people and goods, Bordeaux will be at 1 hour from Toulouse and 1h 50 from Bilbao with the future high-speed line. Bordeaux Euratlantique is one of the great contemporary urban projects linked to the arrival of the High Speed Line. At the south of the city, straddling both banks of the Garonne, this project covers an area of 738 hectares organized around the Gare Saint-Jean. Nearly 30,000 new residents should be accommodated in the future, as well as 25,000 to 30, 000 jobs, 40,000 sqm of retail space, 400,000 sqm of office space and 50 acres of green spaces. The first operations will be launched in 2015. 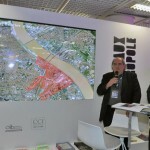 In 2025, a European-oriented business neighborhood with Garonne-Eiffel: as Saint-Jean Belcier, this part of town has the same ambition to reclaim the river and its banks, to densify the heart of the agglomeration and to developa business district with an European vocation while maintaining and developing the existing economic activities. Designed by the team TVK, winner of the urban planning competition, the project includes the development of a business center (150,000 sqm of office space, 20,000 sqm of retail space, 50,000 sqm of activities…) complementary to th project starting at the foot of the Gare Saint-Jean and the creation of nearly 7,000 new dwellings (600,000 sqm) with the objective of urban diversity. Cohabitation with infrastructure of reconquest of the river is the major focus of this project, great parks will be built along the railway tracks and platforms. Bordeaux is a city where you can also breathe with its 55,000 hectares dedicated to nature, with the development of the Parc des Coteaux in 2016, the preservation of the Parc des Jalles made in 2012, the creation this year of a network of hiking trails, the Bordeaux Métropole green loop to meet the inhabitants’ needs of nature. 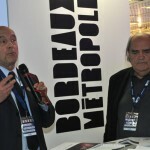 Bordeaux has not forgotten recreation centers with in 2015, the SAVE, vegetable and animal park of the Bourgailh, the MECCA – House of Creative Economy and Culture in Aquitaine, the City of Wine Civilization, a new stadium, in 2017 a large auditorium, in 2015 a thermo-ludic complex with the Garonne Waterfalls. 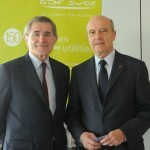 At MIPIM, Alain Juppé and Gérard Mestrallet, CEO of GDF SUEZ, have signed on March 13, 2013 a cooperation protocol for sustainable urban development in Bordeaux Métropole. This cooperation protocol defines the basis of a collaboration dedicated to the city of tomorrow, promoting innovation and urban efficiency and the development of specific projects. In this context, GDF SUEZ wil develop in priority a demonstrator on the Armagnac islet in Bordeaux Saint Jean Belcier district.